Today, 15 Bhadra, 2074 [31-August-2017], Council for Technical Education and Vocational Training (CTEVT) publishes the notice to inform the students studying in the constituent, collaborative, community or private institutions of the council at Diploma or Proficiency certificate level who wish to credit transfer or shift their study/continue to any other institution. The students are required to apply for the credit transfer to the council within the 30 days of the beginning of the annual or semester program they are in under the mentioned conditions by the council. 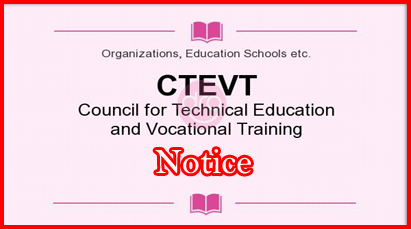 Should you have any queries/questions regarding the CTEVT Notice for Credit Transfer for Diploma or Proficiency Certificate Level 2074, then please feel free to CONTACT or you may drop your comments in below comment box. 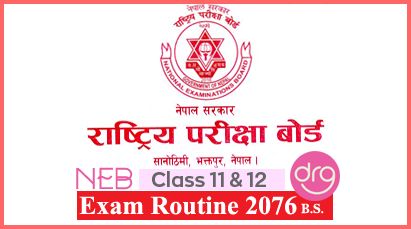 0 Response to "CTEVT Credit Transfer Notice For Diploma And Proficiency Certificate Level 2074"